Uganda . Pamoji village in Pajakoiri Parish, Metu sub-county. 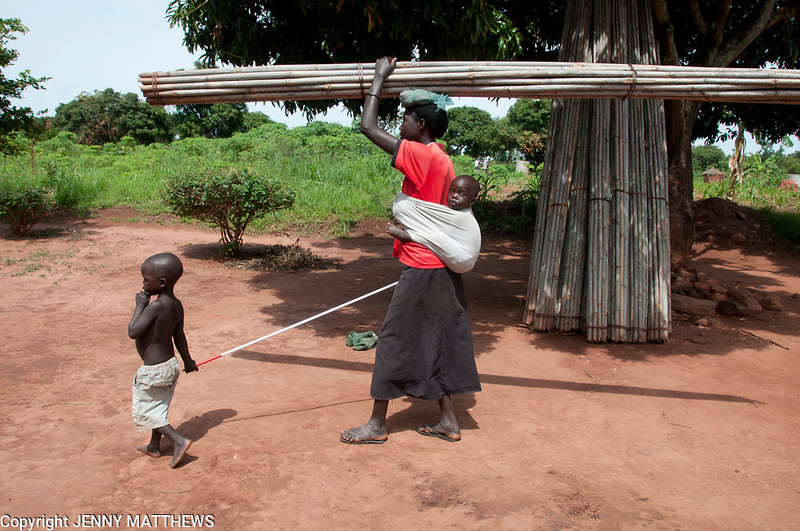 Jamilo Bako ,a blind mother , earns money from carrying bamboo to sell at market. Her young son leads her.